I remember when I was younger, I use to love playing with my siblings and pretending to be a teacher, mom, baker anything that was fun and kept us busy playing. We would play for hours and have so much fun with one another. My favorite thing to be was a teacher. I loved giving out lessons to my younger siblings and teaching them things that I had learned from school. Plus my fourth grade teacher, Mrs. Seal was one of the nicest, patient and creative women I knew. Time has changed, but the creative and unique imagination that kids have, has not. You ever over hear your little one playing? Maybe pretending to be a super hero saving the day or a super fast race car driver? My son's imagination is growing more and more each day and he can play with his toys for hours using lots of his toys to create many different worlds. I love to hear and watch him play. From being a fireman, a race car driver and even a character from minecraft, my son's imagination runs wild and I'm enjoying the show. I have a few more years before he's out of this stage and I plan on enjoying every bit of it while I can. We were fortunate and had the opportunity to review the Imaginext Rescue City Center, geared for children ages 3-8. My son is pretty familiar with Imaginext and their toys. Last year he was into Batman and so he received both the Super Friends Gotham City and Gotham City Jail from Santa. He loved them and still plays with them til this day. I love that the toys are at a decent price, strong, durable and made to last long. They both still look pretty new and it's been a year! What I loved most about the Rescue City Center is that it gives my son more time to play and pretend to be a hero that he can some day be. As much as I love seeing him play Batman, I love it even more that he's pretending to be a firefighter and knows that they helps put out fires and save people. 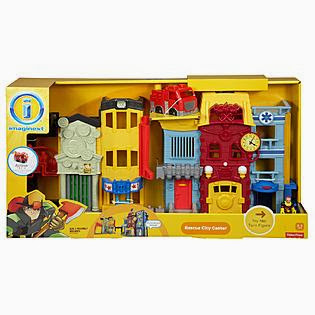 With the Rescue City Center your little one can help create an adventure that has him being the hero of the town saving the gas station, hospital, bank, hotel and much more. This will definitely keep your little ones imagination running and busy for hours. Definitely a great gift for this up and coming Holiday season. Imaginext is introducing the new Ed Venture video, including Ed as dino warrior, as a fireman and as a knight! Sit your kiddos down and have them check out the 22 minute video below. My kids loved it and have been watching it over the last couple of days. It's filled with lots of adventure with some pretty cool characters! 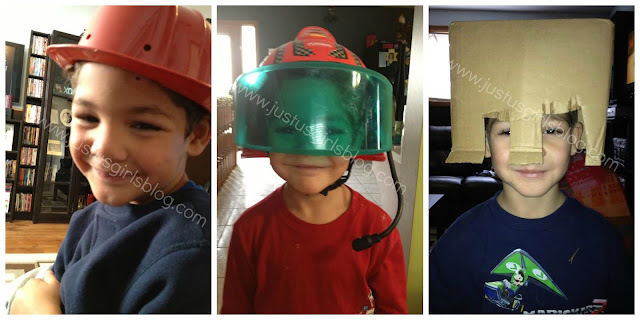 Are your kids ready for an adventure?! If so, have them head to www.imaginextadventure.com/ to help destroy the sun sucker in order to save Canada from darkness. Once the 9 clues are solved and the game is won they can enter to win one of five $300 Imaginext prize packs.